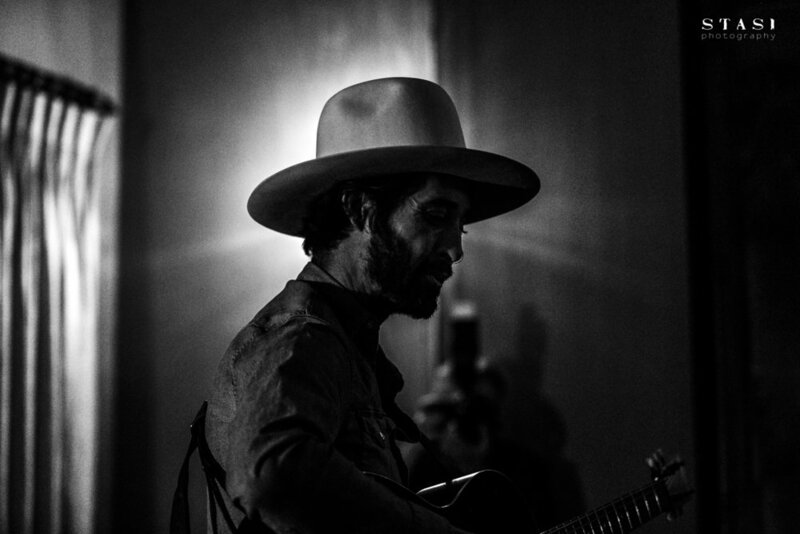 Fans of singer/ songwriter Ryan Bingham were treated to a handful of songs from his upcoming album American Love Song this past Tuesday night at Rita House in Hollywood, CA. The intimate venue, essentially no bigger than a living room, served as a perfect venue to take in stripped down, unplugged versions of the crooners tunes. “I’m still just searching for the truth,” Bingham humbly jokes with a fan as he tells stories of his songwriting process. And this couldn’t have been more evident as belts out deeply personal lyrics with his trademark vagabond drawl. One of the highlights of the night was “Wolves”. A reflective song telling the story of a boy dealing with a crossroads in life. He plays his guitar with just the right amount of dirt that serves as a perfect companion to his effortless growl. The tune leaves the audience, all crowded about on couches and various living room furniture (not unlike a campfire setting), hushed in a heartfelt silence. His songwriting has a knack for cutting the fat and getting down to the gritty truth. And like the greats before him, Bingham has a way of performing his tunes that even the most jaded amongst us relate. Another favorite of the night is “Got Damn Blues”, a rowdy tune telling the story of a man who just can’t help himself and the questionable choices he makes. After the performance, Bingham sticks around and signs vinyls for each of the fans. Always with a boyish grin, he couldn’t have been more open or giving of his time in a genuine appreciation for the adoring crowd. Keep an eye out for his album American Love Song set to be released on 2/14.